Since no lawn sprinkler system design is the same for every home, contact Commercial Irrigation & Turf. 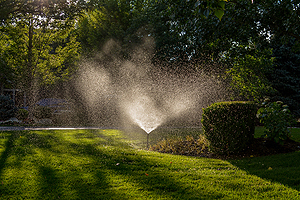 We provide the residential irrigation Champaign IL locals make their top choice because we design, build, install and service one-of-a-kind sprinkler systems for them. But what if you only need irrigation maintenance, sprinkler repair or to winterize lawn sprinkler systems? Commercial Irrigation & Turf does that, too, because no project is too big or too small for the top irrigation contractors in Central Illinois. Contact us right now! Commercial Irrigation & Turf utilizes our more than 30 years in the irrigation industry and our experienced staff of highly-trained professionals to design, install and repair thousands of irrigation systems. By using “trench-less” technology, our irrigation contractors are able to install your system with minimum excavation. With the help of tools and machinery we have developed through our years of working on sprinkler systems, we can streamline the sprinkler installation process. In most cases, you can get the residential irrigation Champaign IL residents use for the best results in only a matter of days. We design our yard sprinklers to be fully automated from an independent control station. As a result, you can set start times, watering schedules and rain shut-off capabilities. Thus, your lawn or garden will be tended to even when you are out of town. Commercial Irrigation & Turf trains its expert team to avoid mistakes, leaks, blockages and other hassles with your irrigation systems. However, we provide a full warranty to give you peace of mind in case you have an issue. Contact us right away if you need a repair. Since brown is not a good look for your yard, you need Commercial Irrigation & Turf. 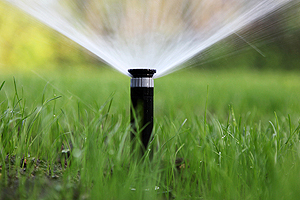 So you make sure you get the residential irrigation Champaign IL homeowners recommend, call us now at (217) 398-1494. Or use our online contact form to reach us. Have some work for us outside of Champaign? No problem! We serve customers in Peoria, Bloomington, Springfield, Galesburg, Pekin and surrounding areas as well.